You can’t deny the importance of both quality and safety in construction. Some say “Quality is the Standard. Safety is the Priority.” For example, there is a lot of quality control and safety compliance when it comes to installing spray foam insulation. The priority on a job, though, is not about the product and technical details. It’s safety. And we start preparing and training on spray foam safety long before arriving to a job site. Being safe and avoiding hazards ensures that we get home safe to our families each and every day. It also ensures timely completion of jobs without injury, which is critical for our customers to stay on schedule, so it’s a business priority. 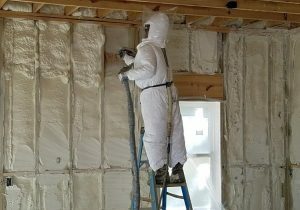 Spray foam installer training requires an understanding of all aspects of safety compliance – a safe job site, proper PPE, equipment start-up and maintenance, foam inspection, etc. We also need to know how to walk through a job site to look for safety hazards and how to measure the temperatures of material, substrates, and the building. Mastering all of these safety considerations are critical to ensuring safety compliance on the job and ultimately customer satisfaction with our work. Safely installing open-cell spray foam insulation in a new home in Savannah, Georgia. This is why we created a playbook to outline these safety requirements but to also standardize procedures for bidding, estimating and performing foam application operations across all USI locations. In addition, a training and certification program exists to ensure safety, quality and consistency across branch locations. One of the most important ways USI ensures we meet the demands of our customers is having proper knowledge and training on insulation and spray foam safety procedures. Doing our job safely every time ensures that we deliver what we promise on time and in accordance with safety regulations. When we are safe, our builder customers get to close on time, but most importantly, it ensures we get home safely every day and can do it again the next day. 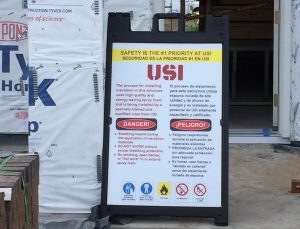 USI qualified installers follow strict safety requirements on all job sites. Having personal protective equipment (PPE) such as fresh or supplied air breathing apparatus, safety harnesses, and full protective clothing is important. But knowledge of the equipment and tools to do the job are just as important. The health and safety of our spray foam installers is of the utmost importance. Every installer must wear proper protective clothing and gear to ensure they are protected during the application of spray foam. The suit, gloves and air mask protect their clothing and skin from contact with raw materials and ensures they do not inhale vapors and particulates. USI also goes to great lengths to ensure other occupants of the building stay away from the premises during spraying and for 24 hours after spraying is complete. Installing spray foam insulation properly requires quality control and safety compliance. 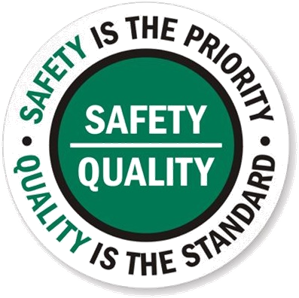 In that sense, quality and safety are equally important. It’s undeniable that having a great safety program enables us to do great work while ensuring we all get home safe to our families every day. Safety is a priority for USI and a priority for our customers. For more information about our residential or commercial spray foam insulation operations, contact us to find a branch near you and get a free consultation. USI believes in excellence in every step of the process and ensures timely completion and quality of service, time after time.